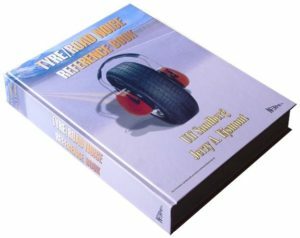 This is the first book ever covering the entire subject of exterior tyre/road noise emission – the most important part of road traffic noise in most traffic situations. Several major policy documents from international organisations or expert groups have identified tyre/road noise as the component of road transportation noise which is the most urgently in need of being reduced. Road traffic noise from a fleet of modern vehicles is generally dominated by noise from tyre/road interaction. In 2001, the EU introduced noise emission limits for tyres and preparations are currently being made within the UN/ECE to introduce a tyre noise emission regulation. International standards on tyre/road noise issues are underway. The industry itself now often identifies tyre/road noise as a major future problem to which substantial resources must be allocated. Road and environmental authorities face tyre/road noise as the major road traffic noise component in most situations when noise reduction is needed. A high competence in this subject is necessary in order to meet future demands from society and customers. 270×200 mm (about 40 mm thick). Weight: 2.4 kg. Hard cover. Everybody working with or interested in road transportation noise. Readers who lack a basic knowledge of acoustics may appreciate the special chapter that gives an introduction to the subject of sound and noise. The purpose with the book is to give a comprehensive and up-to-date state-of-the-art review. It is also intended to be useful as a handbook on the subject.